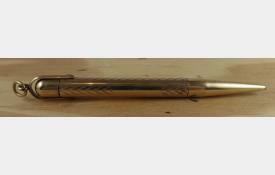 Mabie Todd gold-plated Fyne Poynt pencil. Measures 9.6 cm. In good working order and contains lead.